Pension Comfort Villa Jugo is located in a part of Novalja, on the hill above the town. 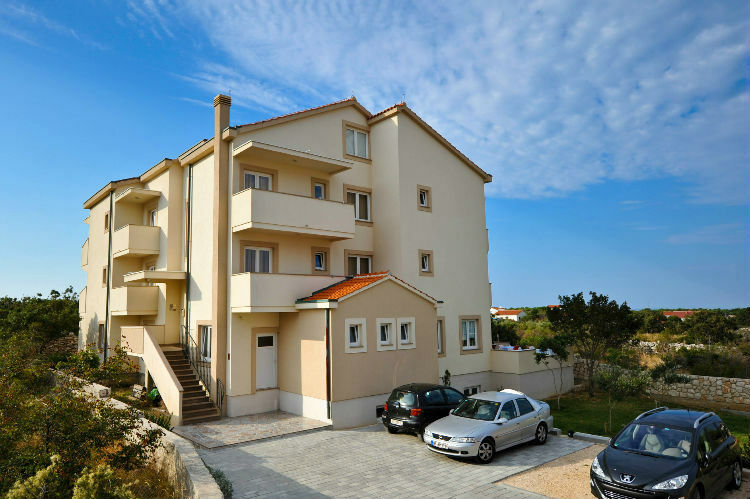 It is only 5 minutes walk from the center of Novalja. North side of house has a view on the Velebit, southern and western side of the bay of Novalja and sea. Pension has 12 double rooms and 2 suites situated on two floors. All rooms have two beds, equipped with air conditioning, TV and mini bar. Each room have its own bathroom. Each suite has a capacity to accommodate up to 4 people, perfect for the whole family. Pension Jugo has a room for breakfast, as well as a large outdoor terrace. Property has its parking lot. The quality of accommodation and service guarantees 30-year experience of family work in tourism.